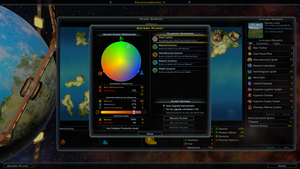 The Big Diplomatic Feature Update is Here Along with the Lost Precursor worlds! 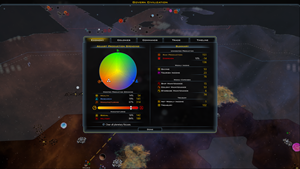 More diplomacy choices, new Coercion ability, exciting new anomalies, and colony events! 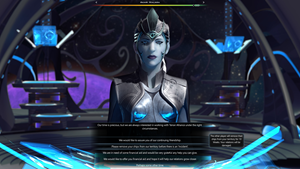 Galactic Civilizations III v1.5 adds lots of new diplomacy features to better shape the destiny of the galaxy! 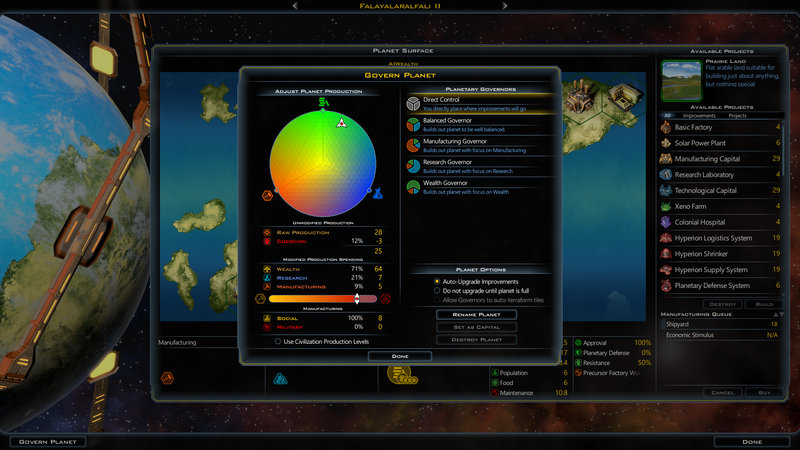 Version 1.5 offers more diplomacy options, the new Coercion ability, and a unique twist on the Planetary Spending Wheel while the "Precursor Worlds" DLC brings exciting new worlds, events, and anomalies to the game! You can view the update's full change log down below. Unlock the mysteries of the Precursors and explore long forgotten ancient worlds. 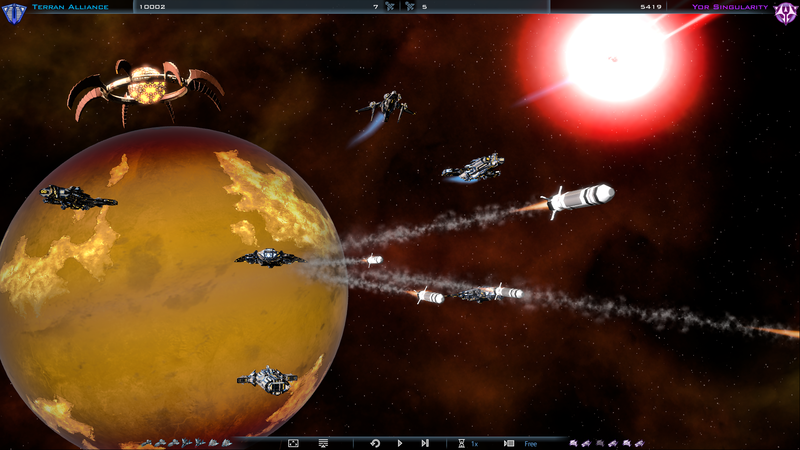 Discover new types of planets, deal with unexpected new colony events, and brave the dangers of perilous anomalies. With new challenges at every turn, exploring the galaxy just became a lot more exciting. Precursor Planet Types: Colonize Precursor Worlds and discover Space Elevators, Orbital Factory Rings, Promethion Refineries, and other exotic technologies that can boost planetary production, build better ships, or increase resources. Colonization Events: Wrestle with new ideological choices that can drastically alter the future and potential of your new Precursor colonies. Anomalies: Alter the future of your civilization by sending your survey ships out in search of more powerful Precursor Anomalies. New ways to interact with your friends and foes will open up different lines of dialogue and choices. Order them out of your territory (darn aliens, get off my lawn! ), proclaim friendship to allies (besties 4ever! ), demand tribute from your enemies (you should pay just to be in the presence of my awesome), and more. You asked for it, so here it is! 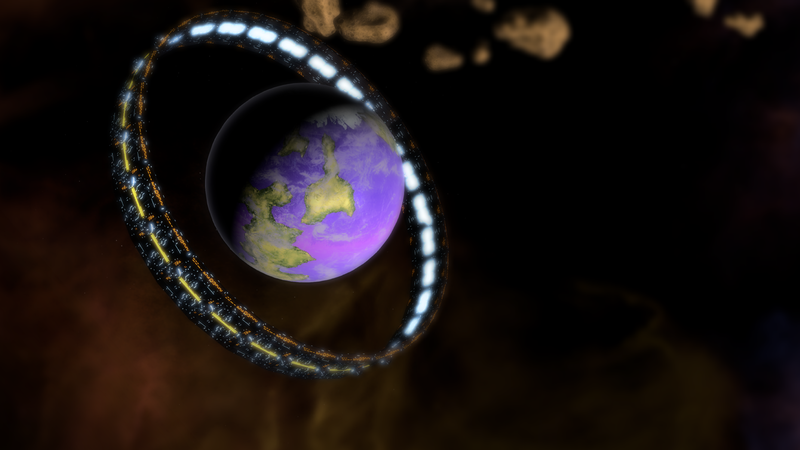 You can now unlock access to this wheel through a planetary improvement or through the new civilization ability "Coercive." If you're a Krynn fan, you're in luck - they start the game with this ability! Balance your production wheel to maximize the efficiency of your production. Forcing your population to be overly specialized will reduce your overall raw production. 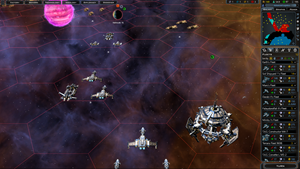 We have also removed the Large Empire Penalty which will allow you to keep your large empires happier! Formerly, this penalty reduced your approval if your empire was too big. 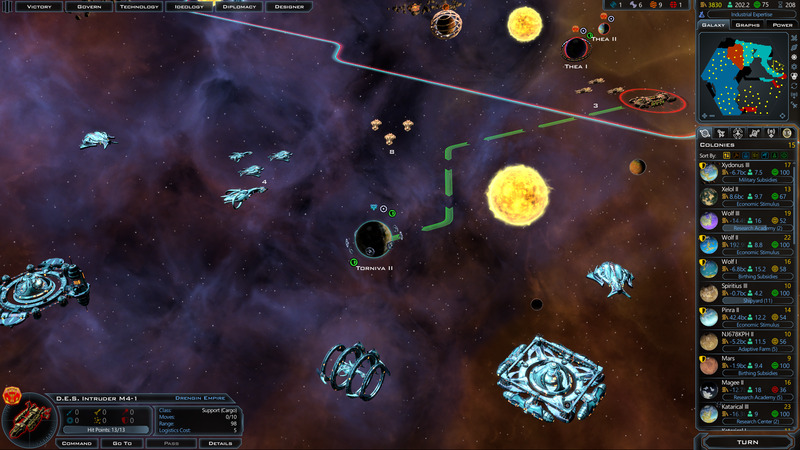 The AI will now use star bases to extend the range of their ships and the reach of their empire. For the full change log, please take a peek below! Like what you see and what to talk about it? 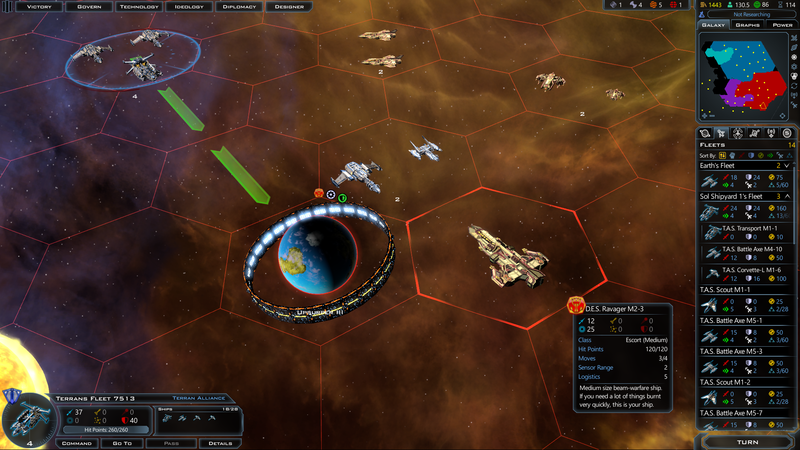 Join our GalCiv Dev stream on Twitch at 3:00 PM ET on Friday, December 11th to hound lead designer Paul Boyer with your questions! In-Game Metaverse: Clicking on the "Metaverse" button on the main menu will display your gameplay statistics, leaderboard standings, and universal stats via the new "Yor Galactic Report". very cool, looking fwd to it.. ty guys..
Edit: Question: Is the Precursor Worlds bonus frequency tied to any of the sliders? (such as the precursor relic slider?) Anyone have any opinion on whether it should have its own slider? Can homeworlds happen to have precursor bonuses? Just fired up a game and immediately stumbled across a precursor manufacturing world - adds some great flavor and reminds me of the rare 700% precursor bonuses from GC2. What effect does removing Patriotic have on custom or downloaded races that have this trait? Will they instantly become coercive, or will they just not have a second ability? The frequency of Precursor planets seems to be way off in galaxies with 20 or less planets. In those cases at least half or more planets are Precursor planets. On small and tiny maps were you have half a dozen colonisable planets and not counting your extra habitable planet in your home system, there seems to be a very high probability of having all Precursor planets. The number of precursor worlds is based on the map size. There's no slider for it. I had some custom races created in earlier version with Patriotic, and if I use them on the 1.5 opt-in they have the coercive trait instead. The game seems to want to make sure you have that number of Precursor planets, so fi you only have the same number of habitable planets or less on a map (outside your home system) as the number of Precursor planets the map can have, you seem be be next to guaranteed that they will all be Precursor planets. These are the Minimum number of Precursor planets on the map, which seems to support what I thought was happening above with the game forcing you to meet the map setting for Precursor planets. There is also a variable called PrecursorPlanetPercentOfHabitable, which is set at 5%. Awesome! Is there any way to check your carrier fighter status now? Update is good, DLC is great. It's very painful to use only mouse to control so many planets in a huge map with hours gaming time. As an Elite Founder, that's is the only thing I hope for. Good find, where did you locate this? Some nice stuff here. It`s interesting how a Dev company of another major game never, ever gave the Player the option to ask the AI to `get off my lawn` even though people for years asked them for it. But you guys have managed it. I also like that we can ask them for cash for a change. Will give this a run. Please have a version for GOG and a release of your DLC on GOG too. Despite being bummed at having to give up on an insane mapped game 480+ turns into to be able to play with the pPrecursor worlds and all but it's been worth it! Having a blast with 1.5. I'm only about 135 turns into this new game but it has been interesting from the beginning and I hope to see some real power house races emerge once I'm near turn 500... Good job guys, GC3 is turning into everything I imagined it would be and then some. Keep up the good work and I"m looking forward to the next couple of years of development! Please have a version for GOG and a release of your DLC on GOG too. Am I the only one who feels like games now run a LOT faster? Precursor worlds + massive boost to pop growth really speeds up the pace. My problem isn't precursor worlds being OP as much as the anomolies. They are obscene - since the AI doesn't go after them, I end up with 20K+ treasury with no effort, and all sorts of OP buffs (like +200% ship speed... at least the game is over fast even though I am bored). It ends up playing like a cheat/trainer (all technologies unlock in 1 go!). Neat idea, but the implementation completely ruins the game for any but the meekest of players. Even the devs think so. A patch to nerf them is in the works. There definitely should be an option to set rarity of precursor worlds. So this could be adjusted down to make them rarer?